We are proud to announce that our CEO and co-founder, Ping Fu, is releasing her book today. 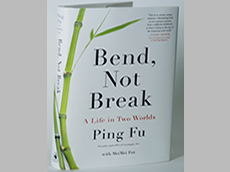 "Bend Not Break" (Penguin) is a story of personal resilience and of business success by someone who is almost an accidental entrepreneur. A heartbreaking history living through Mao's cultural revolution, her family is forcibly split up, and an 8 year old Ping is raising and protecting her 4 year old sister. Exiled from China in her early twenties, with no money and little English, Ping manages to make it through with waitressing jobs and university in the USA, a focus on computer science education and unexpected encounters with innovators and entrepreneurs. From those combined experiences, Ping created an innovative and industry leading 3D software company, Geomagic, which delivers 3D imaging and design technologies to the world. 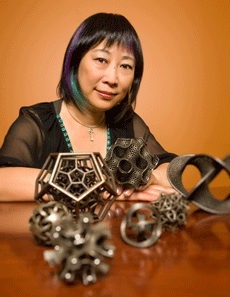 "Today, Ping Fu is the CEO of tech firm Geomagic, which she founded with her husband. She's come a long way. At 8, her family in Shanghai was torn apart by the Cultural Revolution she and her younger sister sent to a re-education camp in another city. Ping was forced to eat what she calls"bitter meals" of dirt, animal dung and tree bark. She was raped at 10, a political prisoner at 25. Finally deported to America, she arrived her with just $80 and knowing almost no English. Her success at the American Dream is a real triumph." generations. This well-written tale of courage, compassion, and undaunted curiosity reveals the life of a genuine hero who remains committed to making the world a better place." "The book reflects the tone of its author: clear, honest and unassuming." "Ping's eloquent prose and remarkable attitude shine through in every word and her compelling story will remind more than one reader to be thankful for what they have." Ping and her book will be featured soon on Bloomberg news, BBC world News and more across the coming weeks.